With winter in full swing, each day seems like a new quest to keep away the dreary blues for many of us. We started off with ways of spicing things up in the bathroom using vivid colors and tried to add warmth to the kids’ bedrooms with a rustic touch. Today, we go a step further and pull out a trick that works in pretty much every room of the house and is ideal for those looking to bring a new texture into their home. For contemporary interiors filled with glass, stone and concrete, upholstered walls are a gift from design heaven! 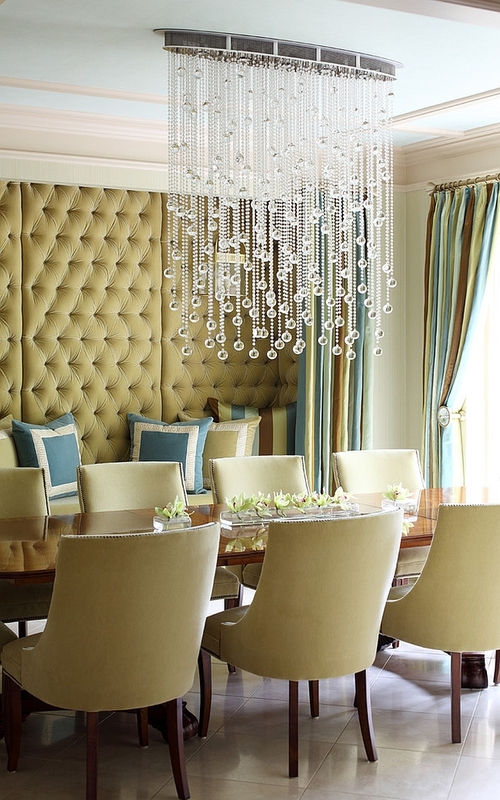 And exquisite tufted wall panels take this to a whole new level. Tufted wall panels offer you a world of advantages that go beyond the obvious aesthetics. The trend of wall upholstery has been around for centuries now, but the last few years have seen designers take it up a notch with classy, refined solutions that fit in with the modern, urbane style. 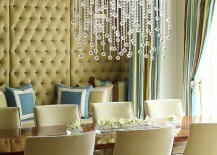 Today we have 11 rooms that strategically use tufted wall panels to alter both the form and functionality of the space. Enjoy the fluffy ride! 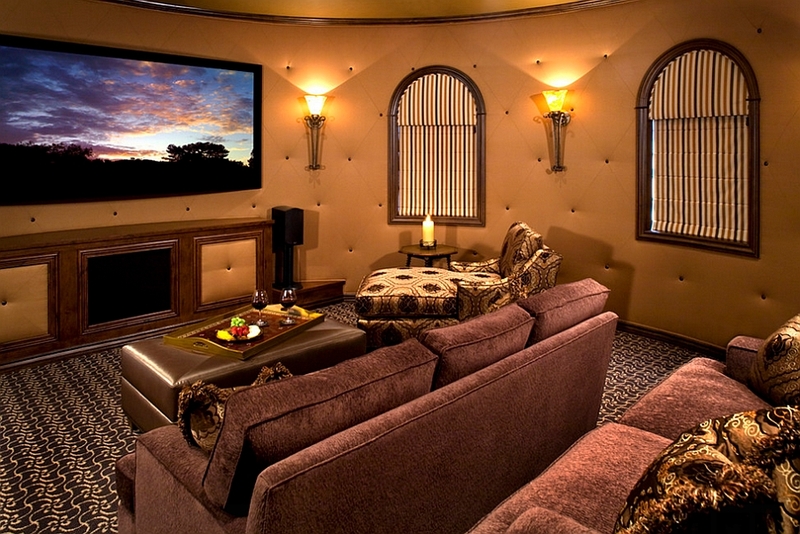 Home theaters are a great place for tufted wall panels, as they turn a simple, unassuming setting into a more luxurious and elegant space. 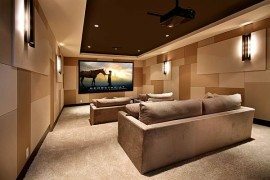 But tufted walls in the theater rooms do much more than just smarten up the interior by acting as the perfect acoustic shields. 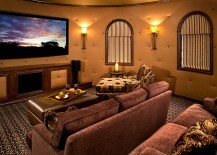 Smartly placed tufted wall panels can keep out the noise from outside and also eliminate any echo in the comfy home theater. 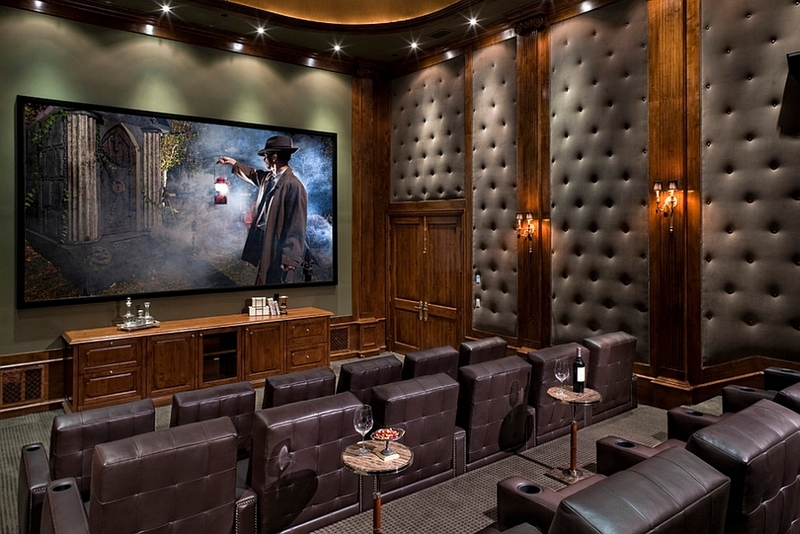 Tufted wall panels in this home theater not only accentuate the color palette of the room, but also define its overall look. Adding such a bright shade of red with paint or even wallpaper would seem a lot more ungainly in this classy setting, but the tufted walls bring along with them an air of regal style. Beautiful lighting and framed vintage posters complete the flamboyant affair! Of course, tufted wall panels are not a feature limited to the home theater, and you can even use them in your living area with a hint of ingenuity. Dining rooms and banquette booths seem to be popular choices for upholstered wall backdrops, as they make both practical and visual sense. 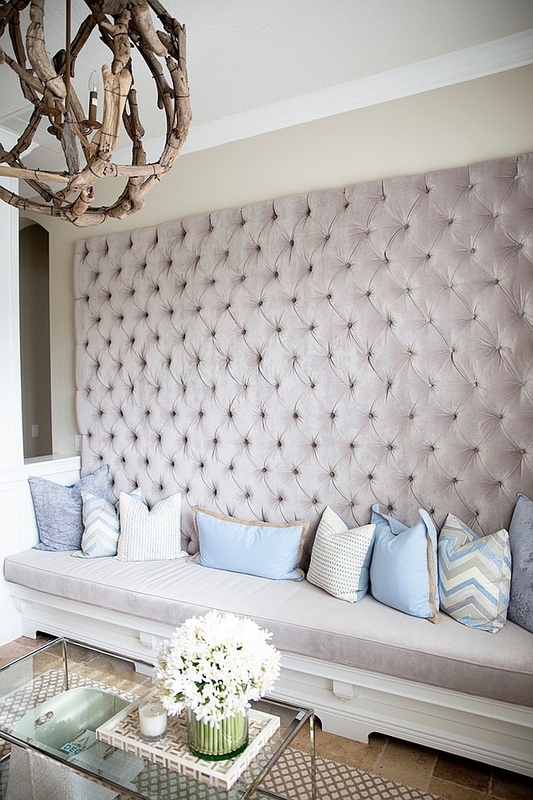 If banquette seating is not what you are looking for, then turn that lonely corner nook into a plush, relaxing spot with a tufted wall and comfy seating. 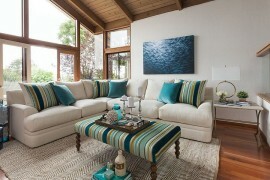 Here is another inventive living room trend that is just starting to make waves globally. Cushioned walls that flank your entertainment unit or even the fireplace in the living room give the space both textural contrast and visual symmetry. 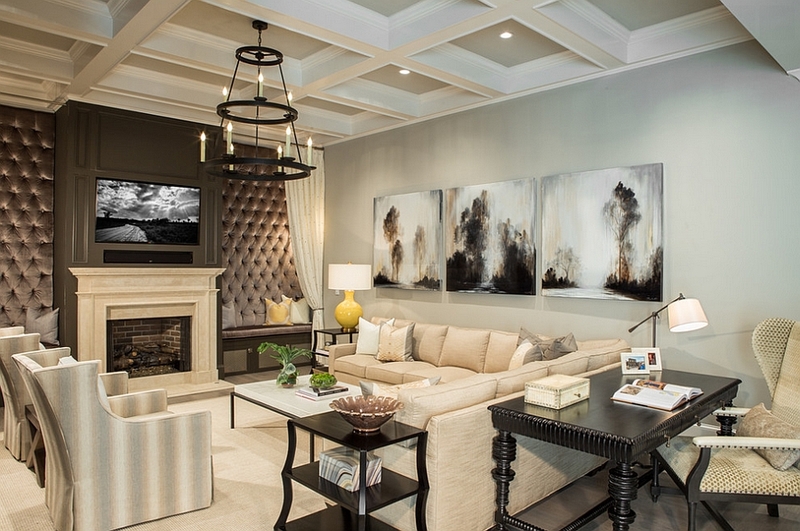 In case you are planning to put the television above the fireplace, the tufted walls can instantly highlight the feature and turn it into the focal point of the room. We love this cushioned wall inspiration for both its innate simplicity and seamless functionality. Large tufted wall panels and a simple bench provide ample seating in this small, narrow living area and make the most of the available space. 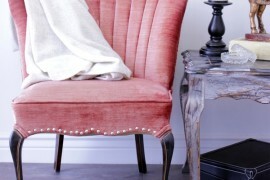 No longer do you need to worry about trying to fit large sofas and a multitude of chairs into a small studio apartment! Bedrooms are an obvious choice for walls with tufted panels, and many homeowners are quickly realizing the benefit of sapping traditional headboards for a more expansive, exclusive tufted headboard wall. The bedroom below showcases a beautiful blend of eclectic and industrial styles, and the dark cushioned wall only adds to this look while highlighting the simple bed frame. 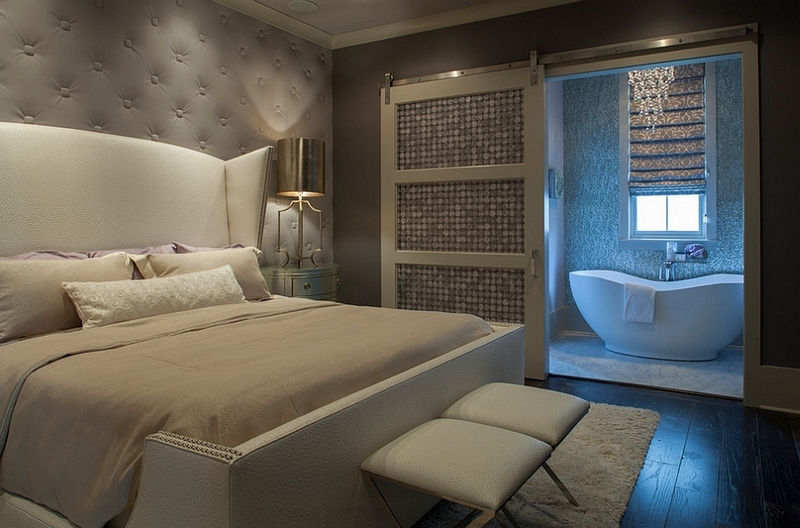 Maybe you are one of those who wants both the comfort of the headboard and the richness that tufted wall panels bring! 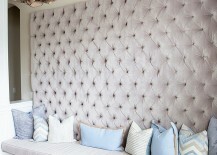 This approach works well in small bedrooms, as the tufted panels give the space a snug, intimate and posh atmosphere. A tone-on-tone, monochromatic approach to decorating here and a sparkling brass bedside lamp enhance the opulence of this master bedroom. Custom tufted panels can be used to create stunning accent walls that redefine and transform the aura of even the most mundane bedroom. 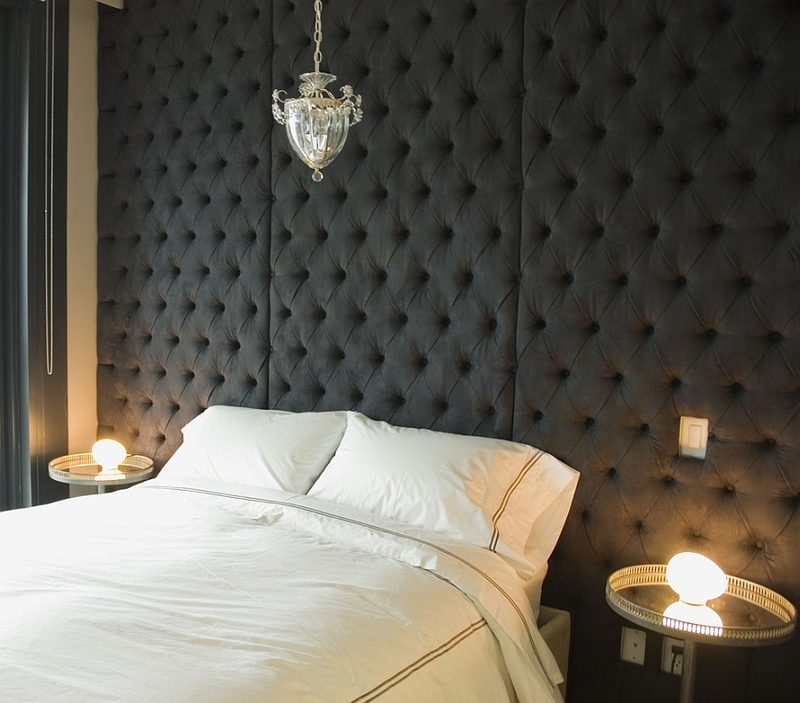 The room below relies heavily on the diamond tufted headboard wall to set the mood and improve the overall appeal of the room. Beautiful lighting, unassuming decor and bedding ensure that it remains the showstopper of the room.